Share your advanced knowledge/code with the community. ■ Configuring the IDE: Specify the JDK installation folder. Prepare your first code and save it. It's time to set up your Android application. App Name : Name that will appear when installing the apk. Package id (lower case): Identifier of the Android application. You don't have to have a domain to publish an application. You can take for example your nickname on this forum. Outfile Filename : Application name for Android. Ok button to save the configuration. 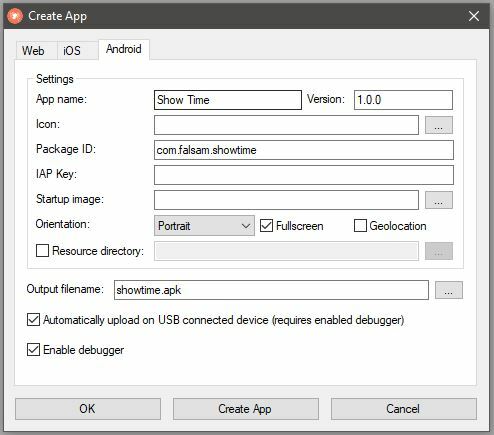 Create App button to create the Android application. With this example, I transferred the final apk to a tablet and smartphone manually via the usb cable. ■ Transfers of unknown applications. Installing unknown applications (Internet, alternative store, USB transfer, etc...) requires changing phone settings to allow applications from unknown sources. Mobile : Parameters ➽ General tab ➽ Security: Check Unknown sources. Last edited by falsam on Mon Mar 26, 2018 5:42 pm, edited 1 time in total. If you have successfully created your first application for Android (YeahhHHhhhh), I suggest you test this code to turn on or off your terminal's lamp. Thanks, falsam, for this sample and instruction - very helpful! I love all the things you share here and yet learned a lot from them. Merci, falsam, pour cet exemple et cette instruction - très utile ! J'aime toutes les choses que vous partagez ici et pourtant j'ai beaucoup appris d'eux. 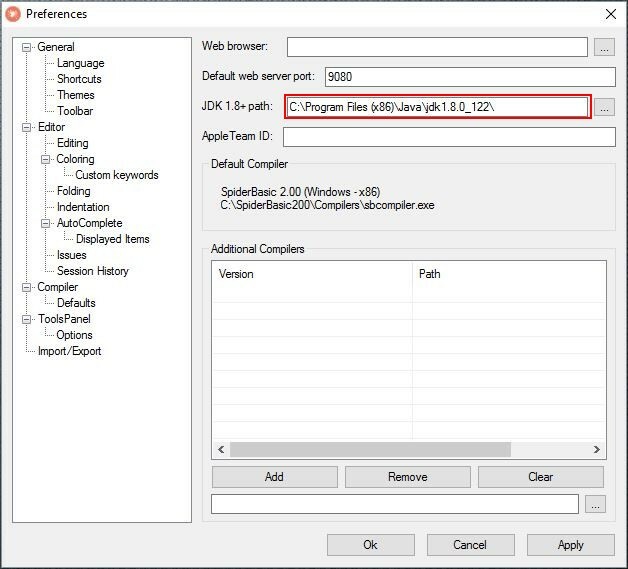 This tutorial already exists here, but IAP is the in app purchases key you get from your store panel, and package ID is a unique identifier on store and is used for nothing else; there is a bug with it and webview in older Android versions, but it's probably worked around by the SB team. There is a signing tool in the how-to-sign thread. Sadly I can't get it to compile to Android. 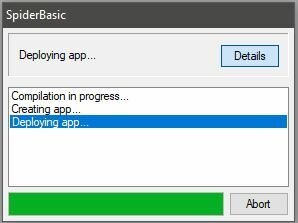 At 60%, I get the 'app build failed' message. I'm using SB 2.21, Windows 10.
https://www.oracle.com/technetwork/java ... 33151.html (Tried defferent versions). I've set the JDK path to "C:\Program Files (x86)\Java\jdk1.8.0_202\"